If you’ve been thinking about going back to work but can’t seem to find the right job then there are a lot of ways you can earn money without doing the normal nine to five. Genuine work from home jobs in the UK are out there, with a lot of big businesses looking for work from home employees; this can be full time, part time, temporary or as self-employed. Think of it this way, even your drive and garage might make some extra money for you. We all want the freedom to look after our kids and still earn money, and legitimate work from home jobs can give us just that. These are genuine work from home jobs and can have you doing anything from online tutoring, internet research, freelance writing, transcription services, website design, customer service or sales type roles. None of these are scams, and while some do require you to be self-employed, none are from multilevel marketing. You should be able to scam from a mile away. The rule of thumb; if it sounds to good to be true, then it probably is. Never pay to work. Flexibility is key to working from home. If you do decide on the freelance route, then you may find combining jobs more worthwhile, so having multiple jobs on the go at the same time. If you’d prefer to be a employee working from home, then you’ll have a greater chance of finding a role if you can work a few hours during the day or even one day a month in an office. Regardless of it you’re freelance or a employee, you’ll still need the same basic equipment to work from home, like a high-speed internet connection, mobile phone, computer, printer and basic office software. If you’re just looking to top up your income, then sites like TopCashBack, Quidco and Swagbucks are a good place to start. Like The Sound of Working From Home in a Data Entry job? 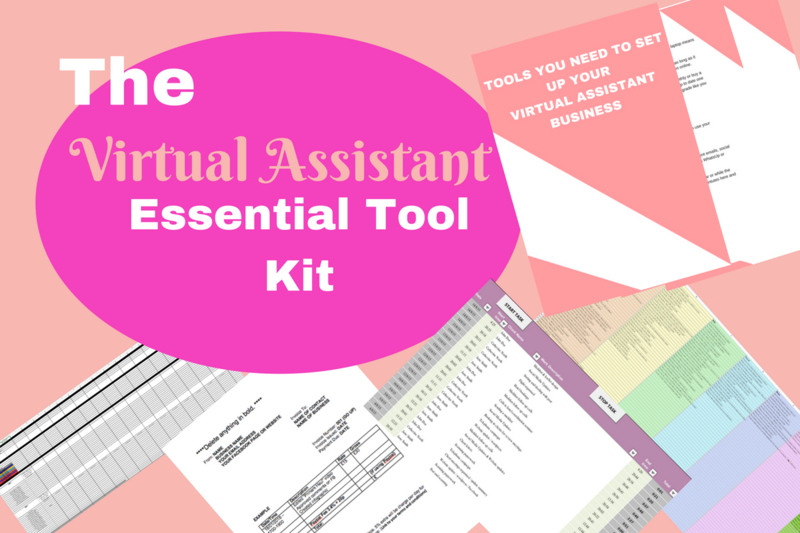 Then Get organised with The Virtual Assistant Essential Tool Kit. This is the ultimate spreadsheet pack for your data entry role. This is for mums who have never worked in a data entry role before but who would like to start working from home. It works for all data entry, evening work from home or even in typing roles. You can use this for any genuine work from home jobs that involve you tracking your time and scheduling social media. To start, think of this job search as your job. However many hours you want to work should be the amount of hours you put in to finding it. Start by letting your friends and family know you’re looking. Use social media, especially Facebook and Linkedin to let everyone know the kinds of jobs you are looking for. Network and really thick out the box. If there is a job you like the look of but it’s office based, think of a way you can pitch to that company that would work for them and you. Could you do the job at home in less time? Would they get flexible working and would it work for their business? Contact everyone you’ve ever worked with. You’ll be surprised the leads it can generate. No matter the position, the best places to start are the online job sites. Use words like “work from home”, “freelance” and “flexible working.” The Guardian, Monster, Jobsite, Indeed, WorkingMums all have new jobs posted daily. Have a look at the freelance sites like People Per Hour*, Fiverr* and Upwork. Even if these sites just help while you find a more permanent role. They do take a percentage, so make sure you quote enough to the buyer. Ignore words like “real work from home jobs” and “make your money fast” as these are normally MLM roles and just aren’t worth your time. Stick with the sites that focus on employing you. Look into every listing and Google the company to get a feel of them. Regardless of what you’re doing for them, freelance or as a employee, you need to know what they are like. Get payment sorted first. Agree a price or salary and expectations from the get go. There are lots of scams out there, some of which are personalised and sound quite legitimate. Do your home work. Ignore roles that guarantee you loads of money within six months or that will help you get rich fast from home. They don’t exist and it is a hard slog sometimes, so be prepared. Do not send money! Legitimate employers don’t charge you to get started. Don’t buy any kits or software. Has this helped you think outside of the box? Let us know if you’ve come up with anything else and we’ll add it to the list. I am an unemployed single male who would like to get into work from home data entry work myself. I guess I’m in the wrong place given the very name of the website i.e. savings4savvymums.co.uk but the site contains a lot of stuff which sounds like the sort of thing I’d like to do myself. I’m sorry to say I find the whole concept of this being for mums therefore women only really sexist. Why isn’t it something a man (who isn’t a mum or dad) do also? If you’re still keen to help I’d welcome any help you can offer.